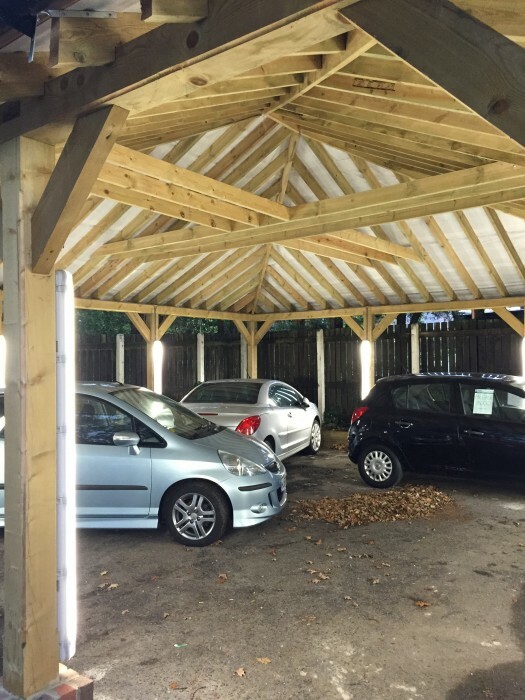 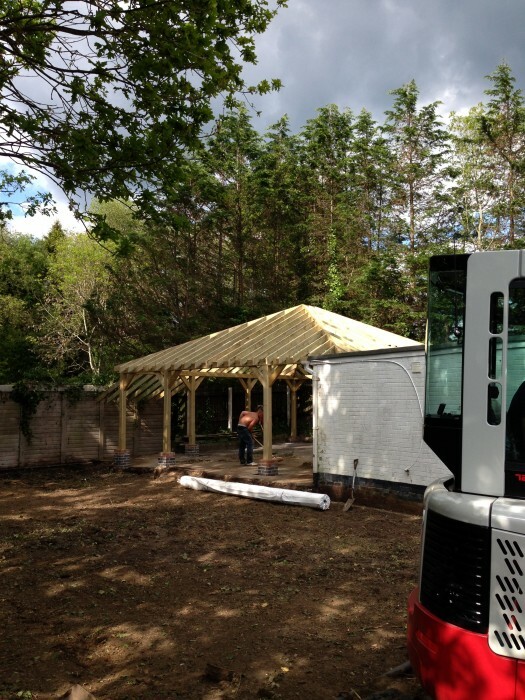 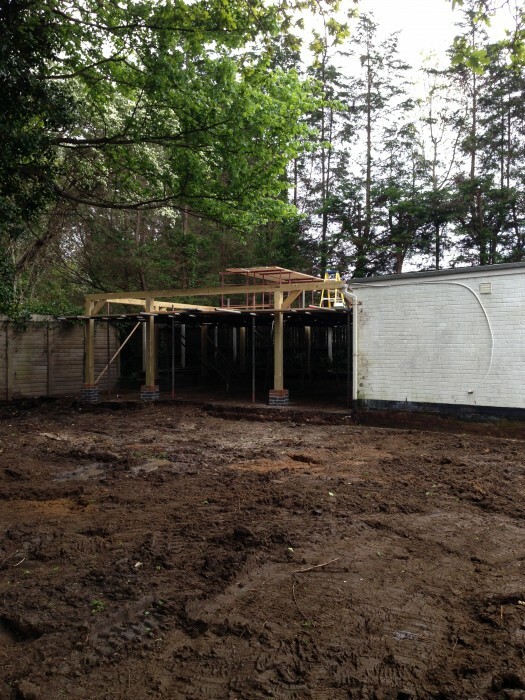 Timber Frame Carport Construction | Wren Building Contractors Ltd.
Mark Hopkins Car Sales, a local used car dealership, approached us with the aim of extending their business premises. 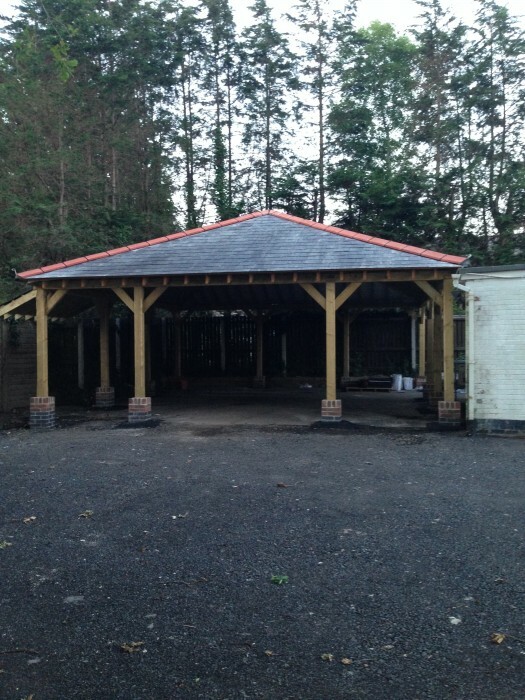 Our team of specialist contractors successfully turned an unused plot of land into a highly valuable carport canopy and forecourt extension. 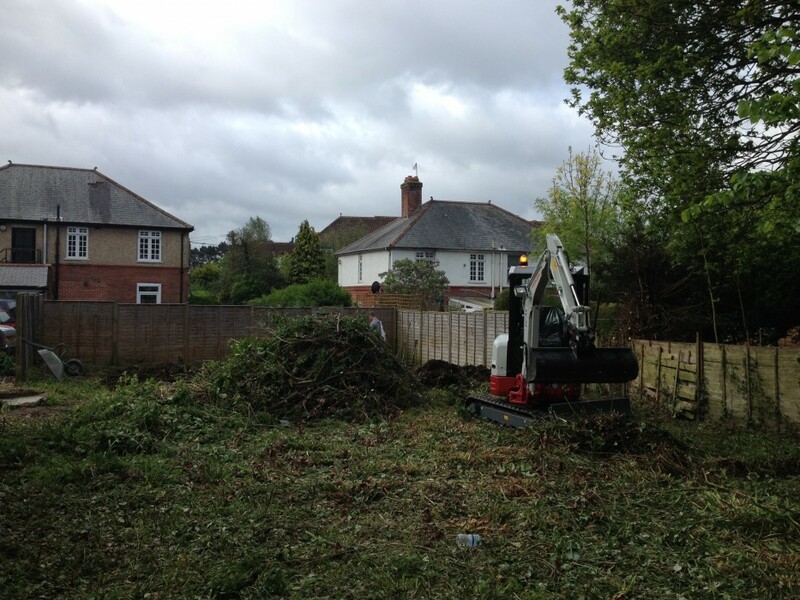 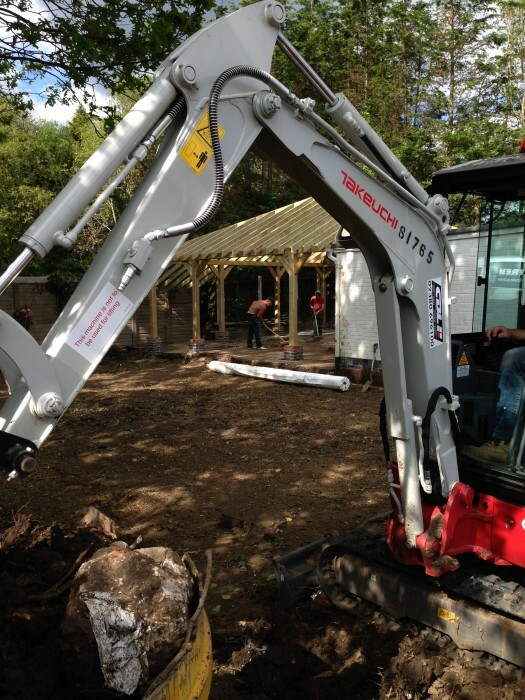 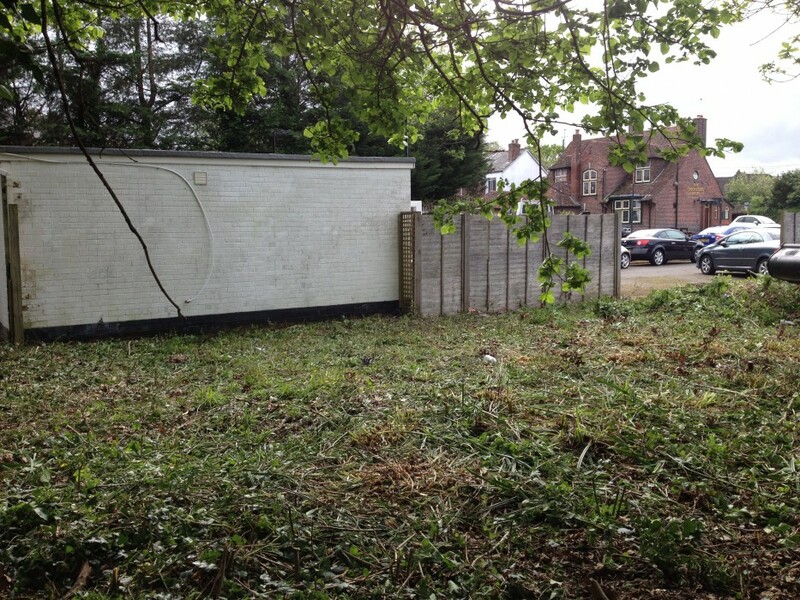 As they are an active business, we needed to minimise our time on site and disturbance to their customers. 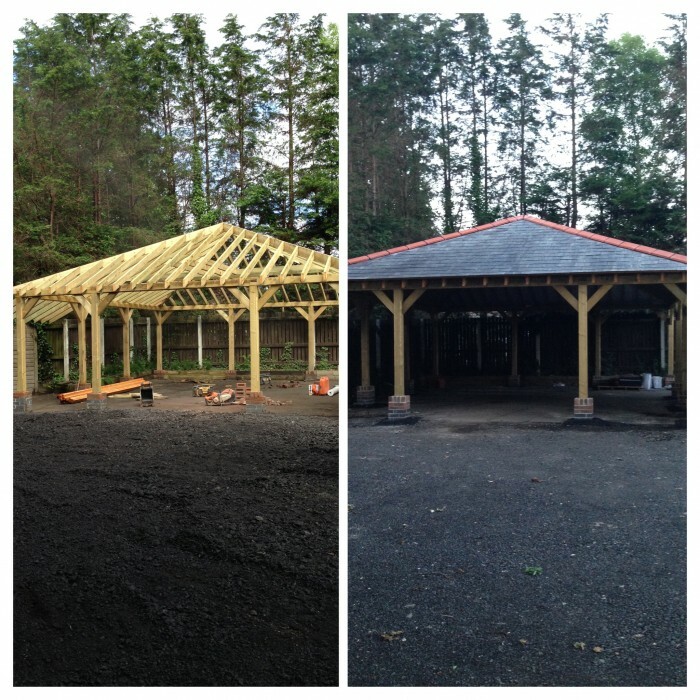 To do this we separated the project into 2 distinct major focuses. 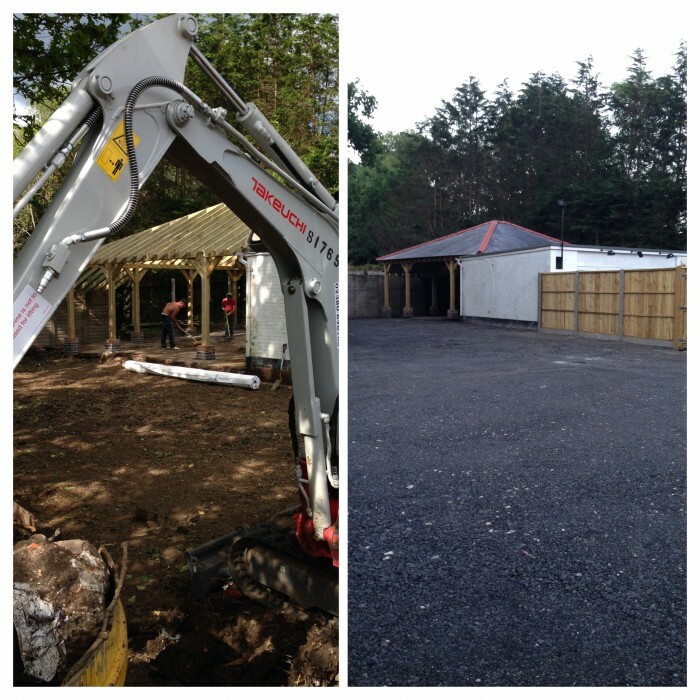 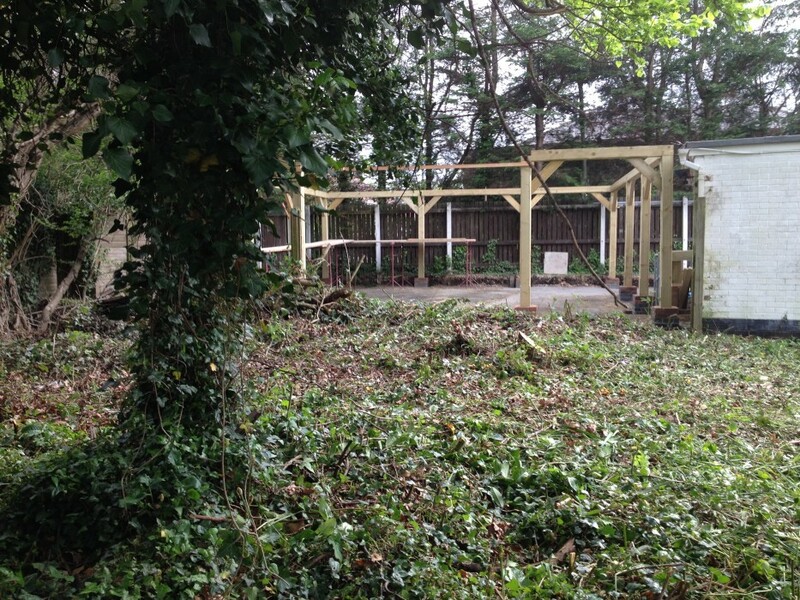 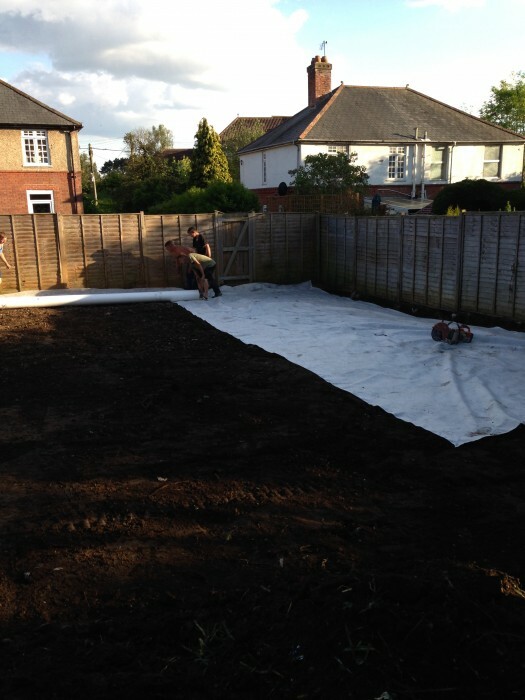 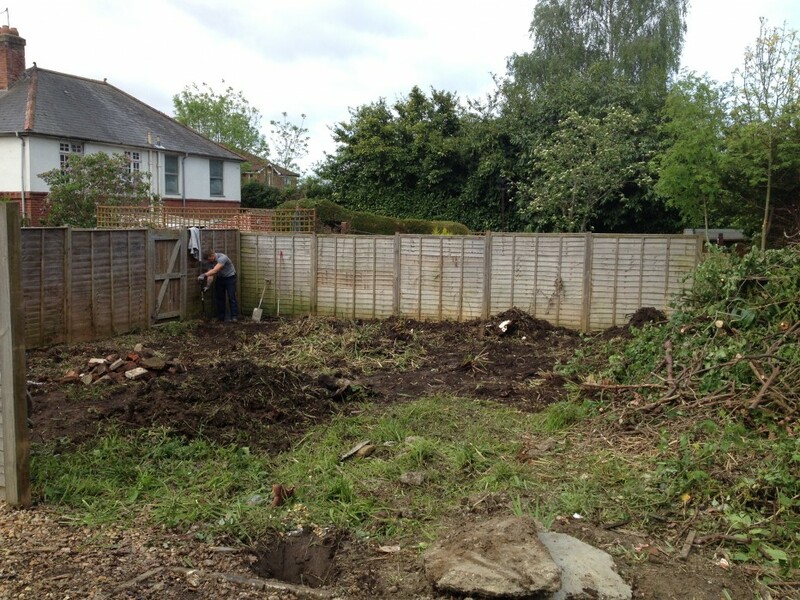 Whilst our carpentering team started work on erecting the timber framed carport, we were simultaneously clearing the unused land, for us to sort out the drainage and finally tarmac the surface. 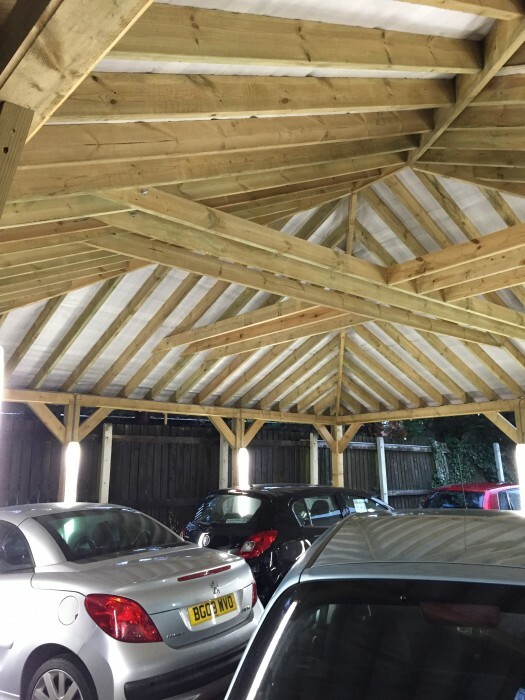 The Fair Oak based car dealership required a 12m x 12m carport in order to work on & maintain the cars during inclement weather. 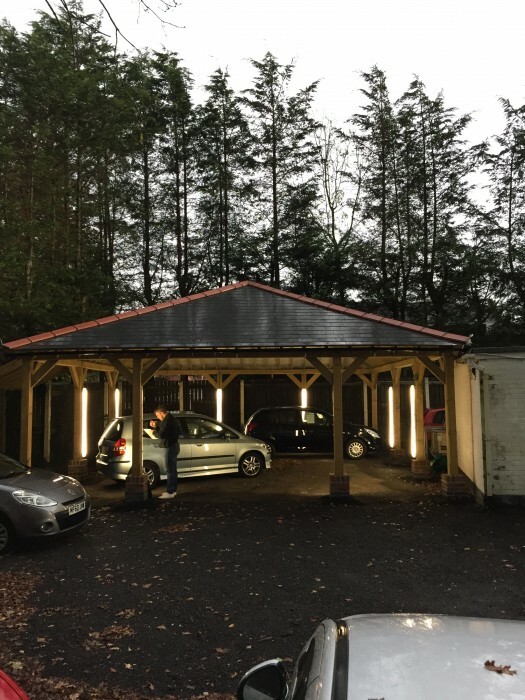 The carport additionally required a waterproofed electric supply for the lighting. 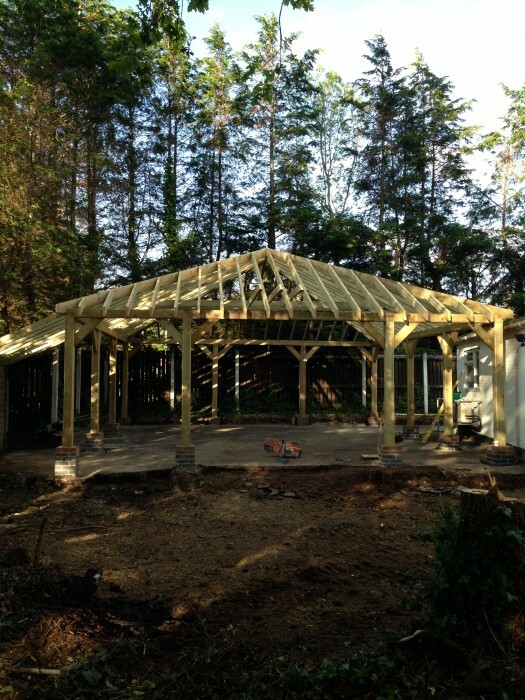 See photographs of this project below, and if you are looking for a quote on timber frame construction projects please call 01489 690070 or use our website to contact us.